NEW DIGITAL CAMO PATTERN!! 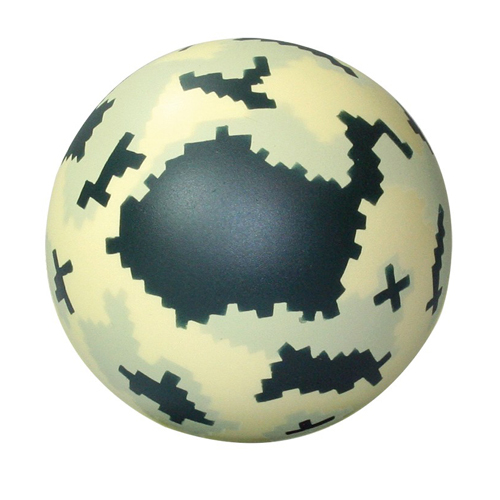 The camouflage stress ball helps relieve stress for those days that feel like a battlefield! It is deal for supporting our troops abroad but can work for any tradeshow or fundraising event! Local military recruiting offices can also use these to promote their services! Products are not intended for use by children or pets. They may present a choking hazard to children under 3 years of age. Imprint Area : 1.5" x 1"